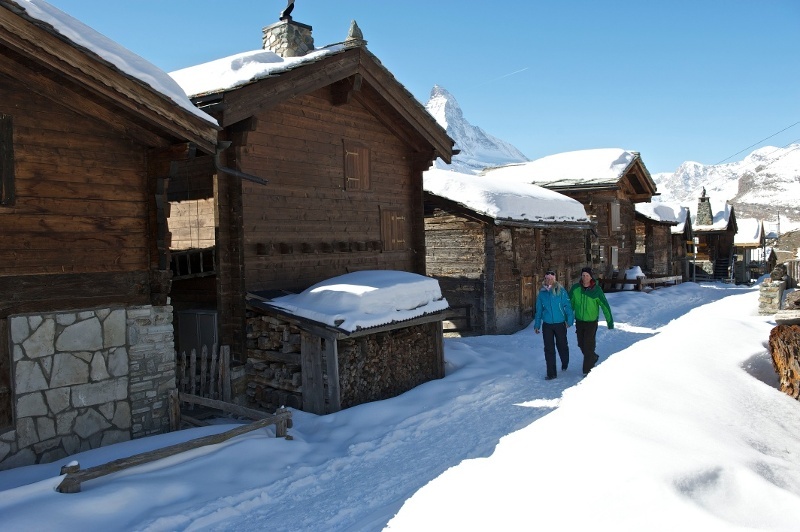 From the centre of the village of Zermatt up into the mountain sunshine, under one’s own steam: that’s the essence of this bracing hike. A climb through the romantic, snow-blanketed forest accesses the open slopes leading to Sunnegga and glorious views. The gnarled Swiss stone pines are heavily laden with snow; a cold winter breeze whispers around the naked branches of the larches. 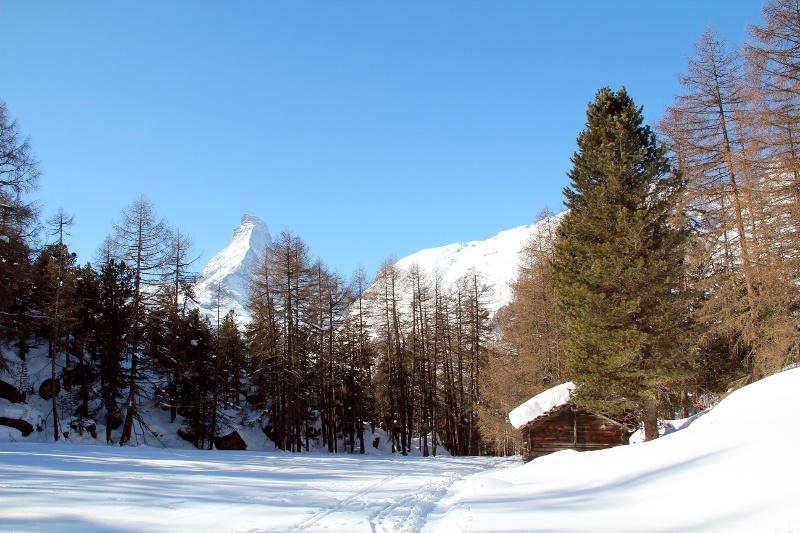 The snow crunches underfoot as the trail winds gently from Zermatt up to the heights. 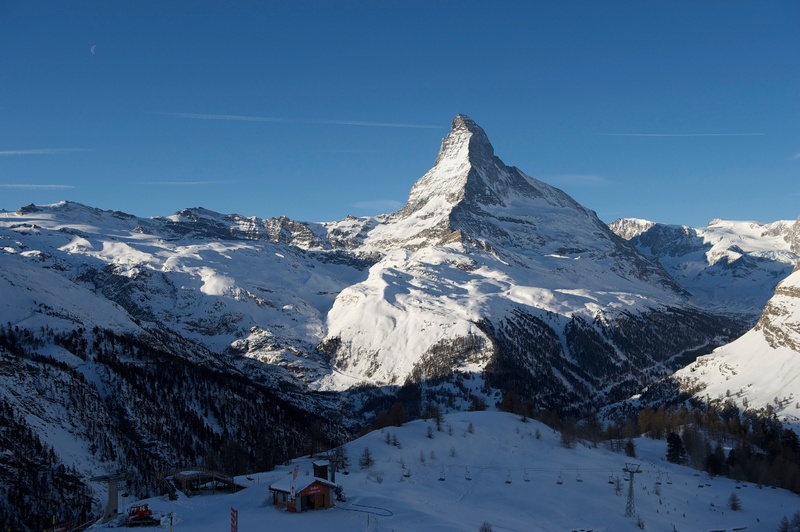 A longer, flat stretch reveals occasional views through the snow-covered trees of the Matterhorn and the village. 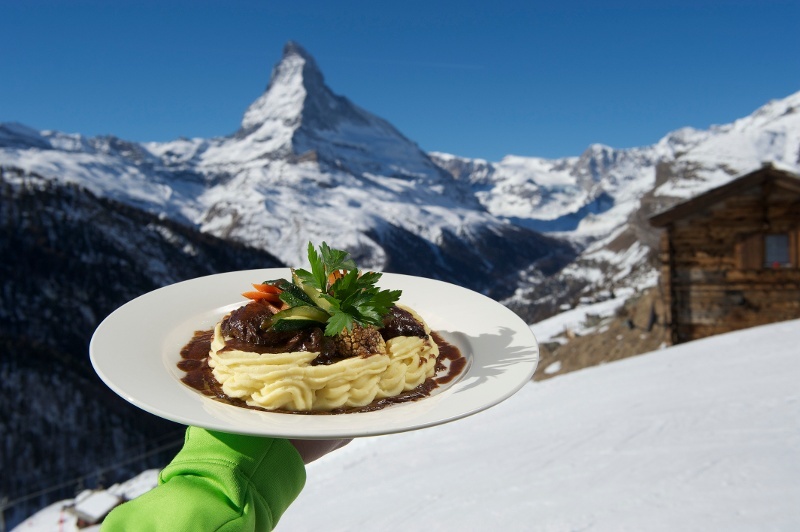 In Findeln, numerous restaurants offer a wide range of gastronomic treats. Depending on time of day, the Tiefenmatten area can be cold and shady, while Sunnegga basks in sunshine. 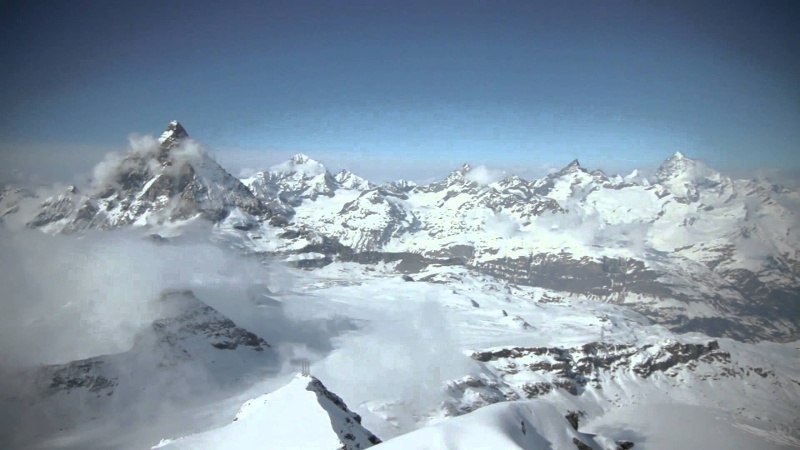 The climb of 900 vertical metres is sure to get hearts pumping! Please observe any signs: the path may be closed because of various winter hazards. Just before you turn into the path in the direction of Findeln, you pass along a section of the trail close to the cliff face secured by ropes and a handrail. Just get up your courage; the view is worth it.